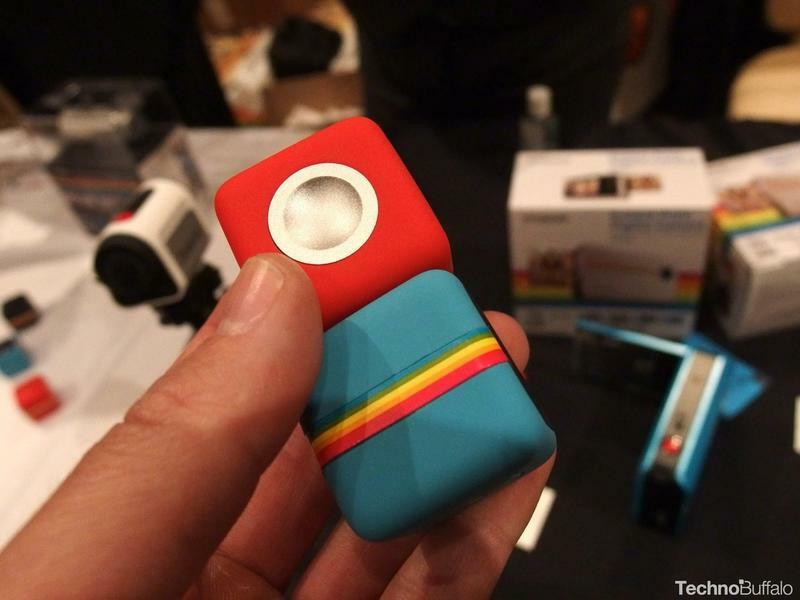 Polaroid had some cool stuff to show off at CES this year—new action cams and a Socialmatic—but it was the company’s little cube camera that really piqued our interest. It reminded me of something from my childhood, or like it might have been Wheatley’s sister from Portal 2, or a more colorful companion cube. 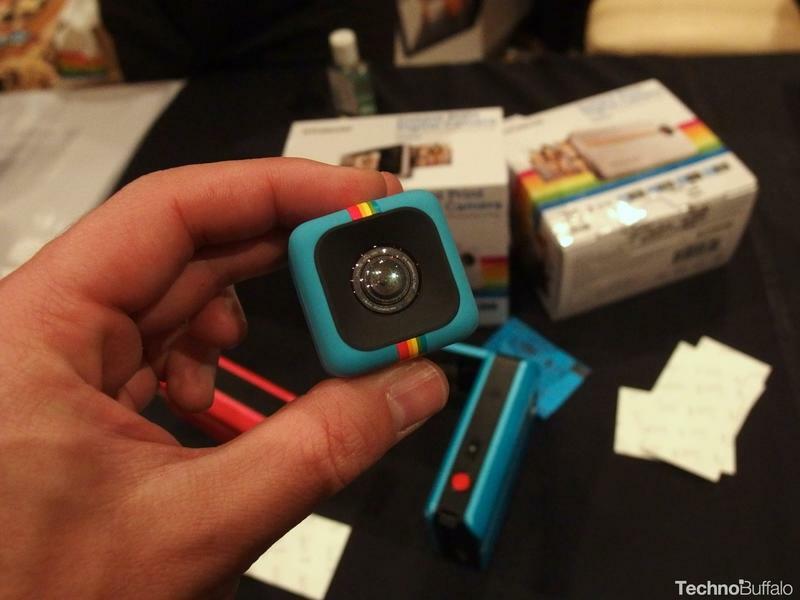 Polaroid’s Action Sports Video Camera is about the size of a piece of Bubblicious bubble gum—they look more like little molds of Play-Doh than anything else, but they’re actually full on cameras that sport a 5-megapixel CMOS sensor and 120 degree wide angle lens. We didn’t get the opportunity to try out Polaroid’s square camera in any meaningful way, but we did get to hold it and see it from every angle. It’s not heavy at all, and feels more like you’re holding a small mysterious accessory. Despite its size, it feels very solid—and it should be since it’s targeted to the action camera crowd. The really neat thing about the cameras was that they are magnetic, so you can stack them together in different configurations, essentially giving users a 360 degree view of their surroundings if they use multiple units at the same time. If you’re on a motorcycle or jumping around, the magnets didn’t seem strong enough to hold everything in place, but it’s a neat little addition that gives them more functionality. 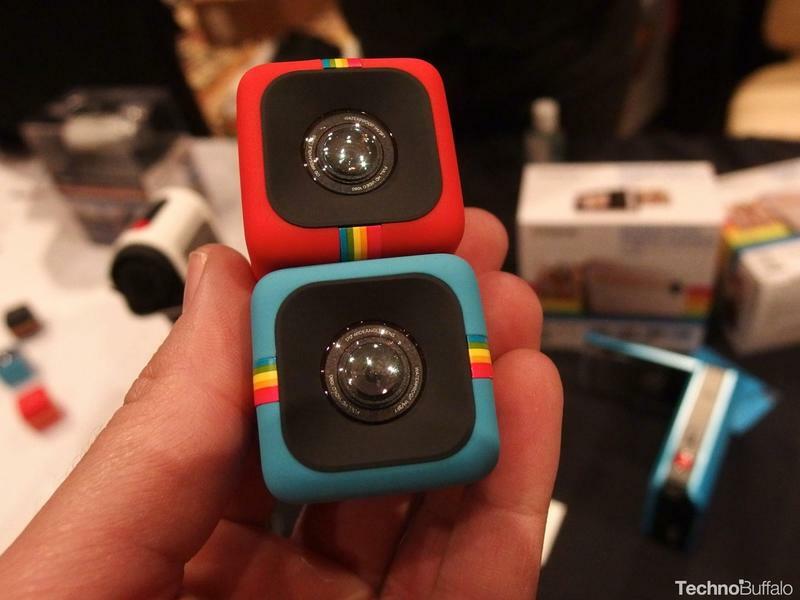 In addition to the 5-megapixel camera and wide angle lens, Polaroid’s action camera features a water-resistant design, still image resolution capabilities and microSD card support up to 32GB. The camera will record in 720p (or 480), and there’s also an onboard microphone and LED light so you know when the camera is actually on or not. 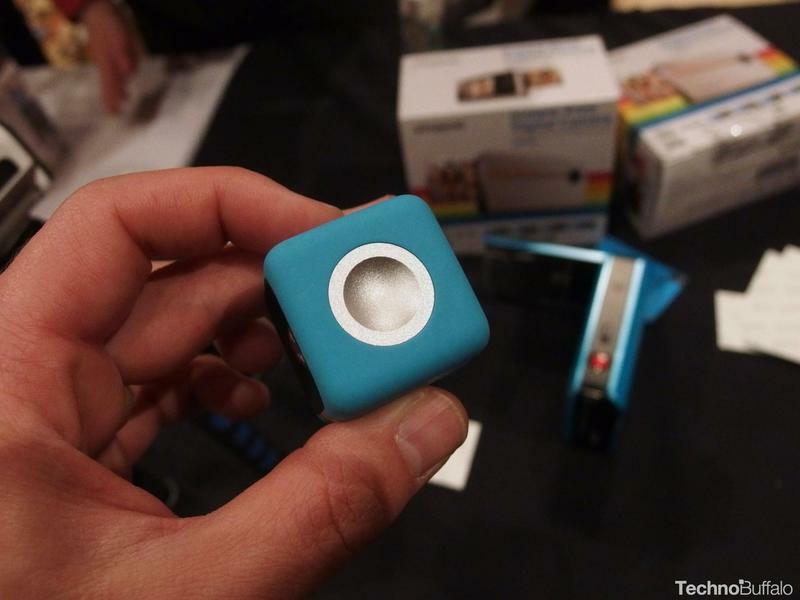 There’s no screen or other form of display; you just press a button on the camera and it’ll record. It’s not complex by any means, but it should appeal to a lot of people, especially if it hits the market at $99 like Polaroid said it will this summer. 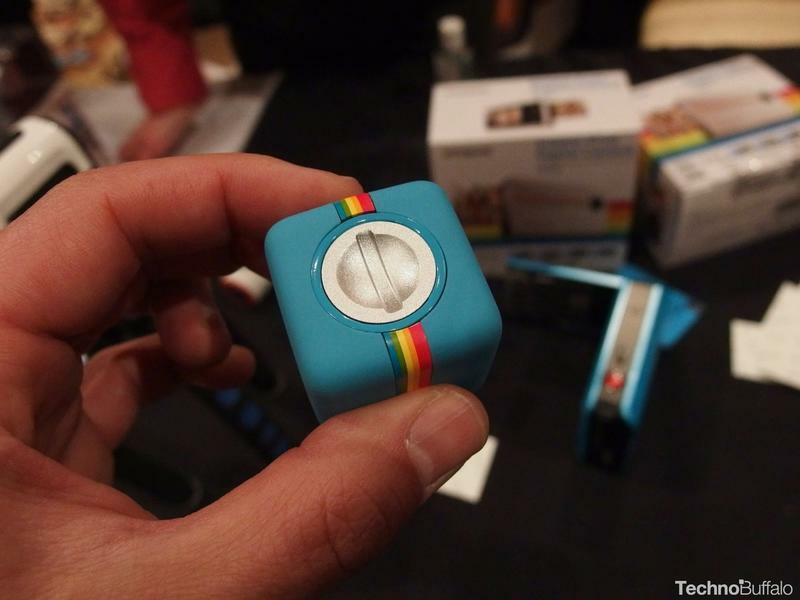 Polaroid didn’t reveal how long battery life is, but I imagine it’s not very long because of the product’s size. We’ll update when we find out more information, but Polaroid still has a few months to iron things out anyway until it’s out. It might not shoulder out any of the more established action cam companies on the market, but I can see this appealing to the younger crowd—maybe even sitting on a few office desks or two.